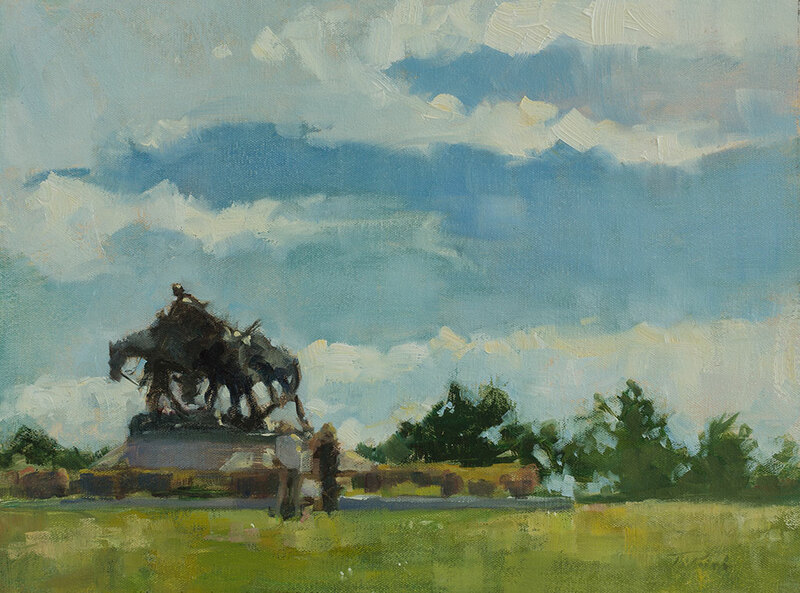 This was my quick paint from the 2014 Penn Valley Plein Air Fest in Kansas City, MO. The two figures are fellow painters Marcia Willman and Manda Sophia. The painting went on to win Best in Show.